My hometown could easily be Dillon, Texas of Friday Night Lights. (Click here and here for a bit of my hometown insanity.) Instead of Alamo Freeze, we've got the Dairy Queen that everyone rushes to after school on Fridays, wearing their purple and white "Indians" tee shirts. We have the biggest jumbotron in the area, even though some of our elementary school buildings need updating. There is also a Midcounty Madness week where kids dress weird to get pumped for the game. 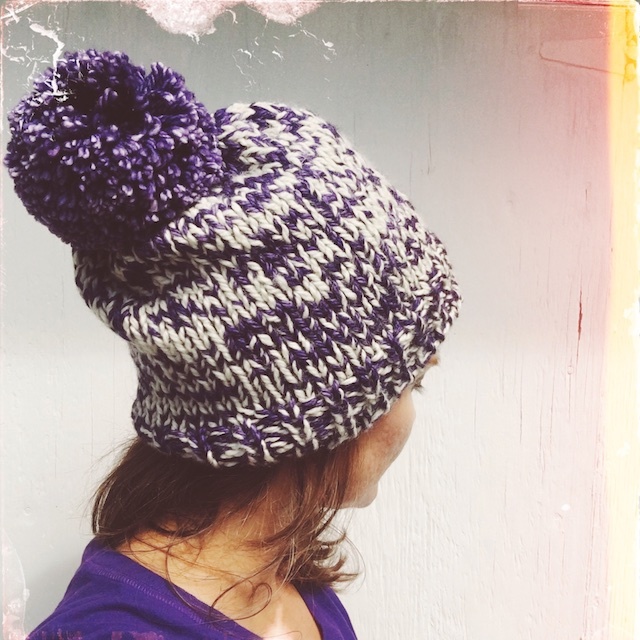 This is why I tend to make purple hats. Of course, there will be no need for me to wear my Rah-Rah-Rah Hat during football season. It hasn't been cold here at that time of year for about three years. But there's always my son's soccer season. This is Justyna Lorkowska's Calzetta pattern. It's a freebie on Ravelry and a very simple, quick knit. I think it looks best with a monster pompom on top, too. Details: I used US size 8 circulars for magic loop on this one. 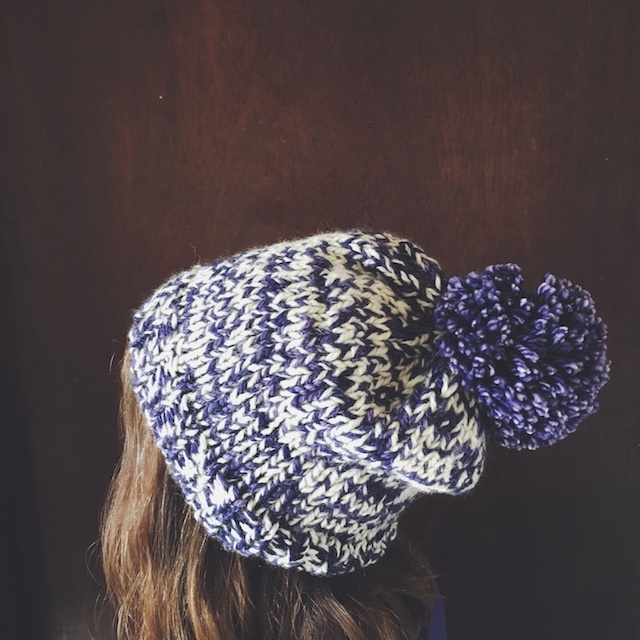 The pattern calls for a superbulky yarn, which I appoximated by holding a strand of Knit Picks' bare Andes Del Campo with a strand of January Yarns' Merino Bulky in Royal Purple. It gives a marled effect, which I love. 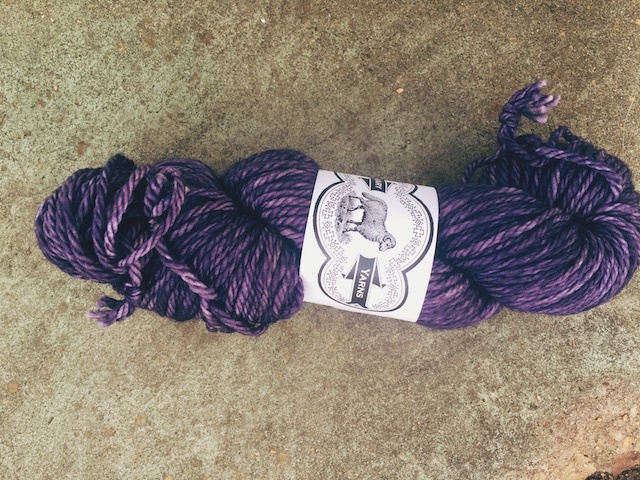 I did feel conflicted about using this beautiful purple yarn in a way that doesn't really showcase the tonal dyeing. 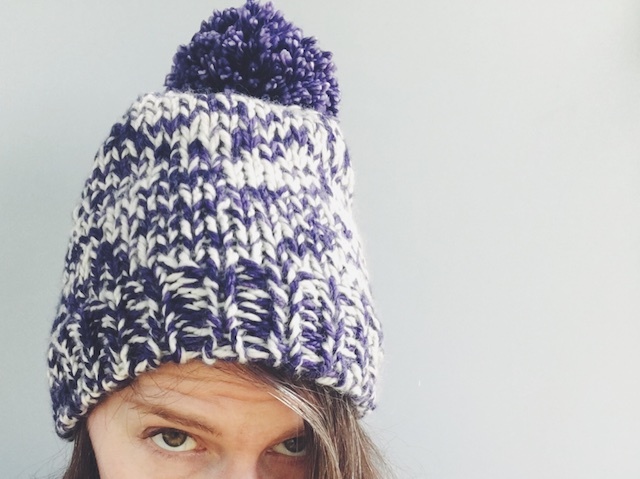 I'd originally thought I could knit a Cozy Head, Happy Head hat with it, but there just wasn't enough yardage for that, nor for my second choice of cabled hat. So, if I couldn't do cables, I could at least do something I love equally: marled stockinette. And I think it's really cute! I suppose the giant pompom gives you an idea of depth of the purple too. In the end, I'd rather have a hat I wear often in our very short winter than one I wouldn't wear so much. Given that I hear someone say, "Cut me and I bleed purple." in Buddy Garrity's voice at least once a year, I think Rah-Rah-Rah will see the light of day more than most of my hats. 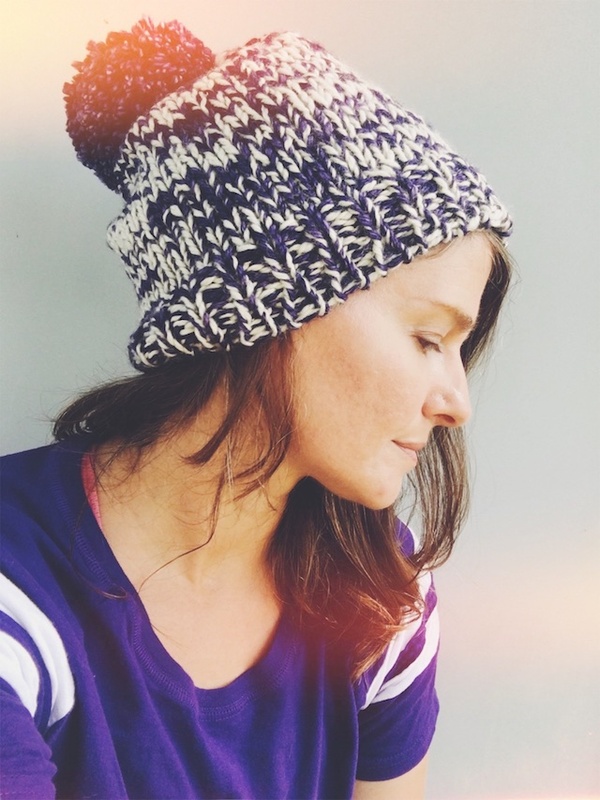 I feel like Justyna is one of the most prolific designers on Ravelry that I have never knit a pattern from. I first learned of her in knit-alongs on the Very Shannon Ravelry board. Seems like it was mostly European Ravelry friends knitting from her back then. But she has released a ton of designs since then. I think she's well known for her graphic shawls, kind of like Veera Välimäki. (I really like Nemeton from the newest issue of Amirisu, and Road Trip has been in my favorites ever since I started knitting shawls, seriously. Whatever that means.) But, she's got just as many big deal sweater designs out. 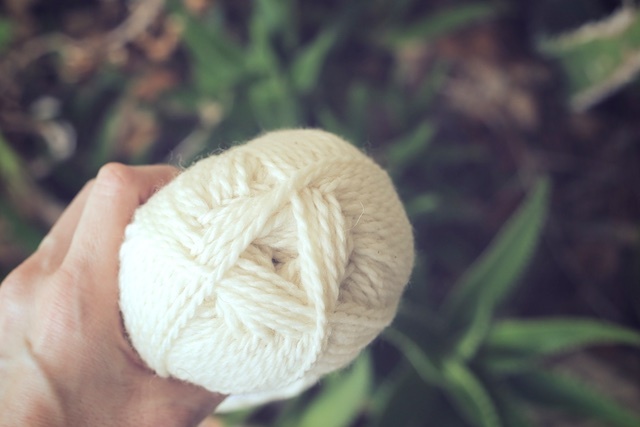 Flaum has been on my to-knit list for some time. However, when I was looking at her designs a few minutes ago, I spotted Carly and Mira. I love them because... stripes and texture that looks great in a variegated colorway! Need I say more? 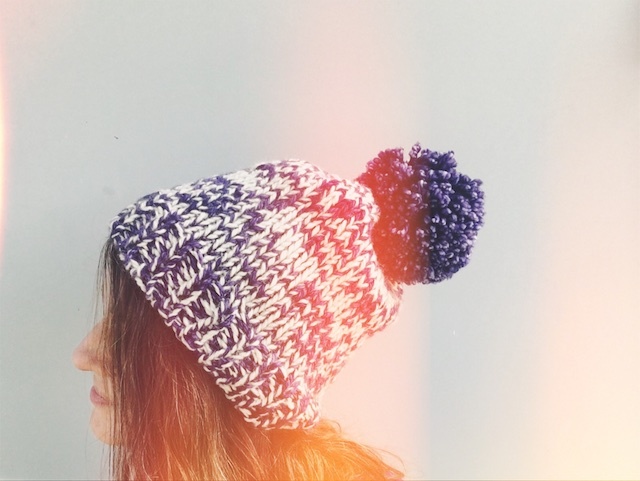 I knit this as part of Vanessa's, of the Kill to Craft Podcast, Harvest Hat-along. Check out some of the other finished hats. If I have time, I'm planning on knitting Fidra next. I feel like a traitor. I am skipping the game tonight to write this post. Buddy would take issue with my priorities.